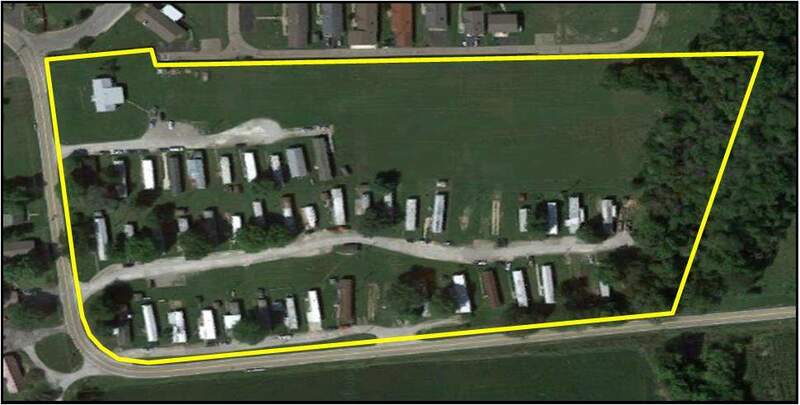 48 Pad Mobile Home Park with 7 Owned Trailers, 1,344 Sq. Ft. Rental Office / Community Center on 12.34 Acres. Located in the Growing Village of Commercial Point just 15 Miles South of 1-270 Near Foxfire golf Club. Strong Upside Potential. Current Rents are Below Market @ $245/Pad/Month with Market @ $325/Pad/Month and all 7 owned Trailers are Vacant and in Various Stages of Habitable Condition. There are Approximately 4 Acres of Excess Undeveloped Land Which Could Accommodate Development of Additional Pads and Amenities. Located Next Door to Genoa Crossing Mobile Home Community Which is an Upscale Development. ASKING $810,000 OR $16,875 / Pad.